Ink and gouache on recycled paper, 107mm diameter. 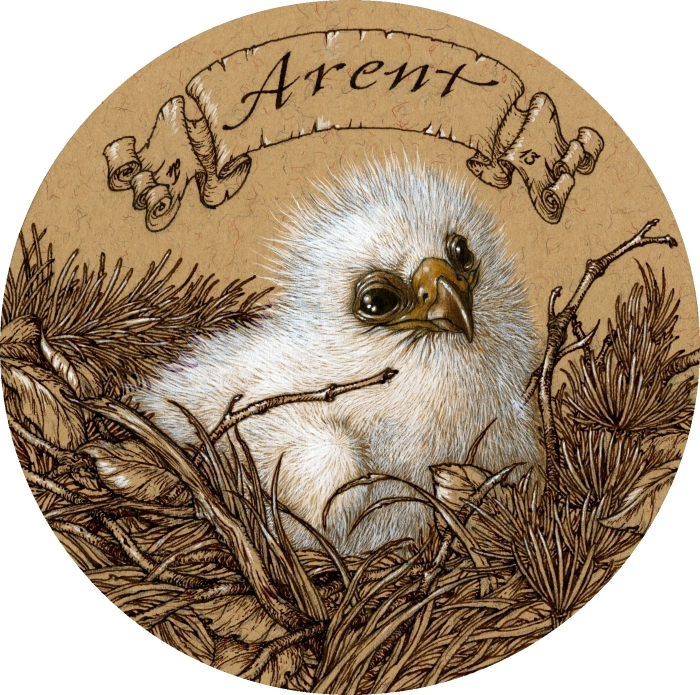 My friend Lea, an art historian at the Mauritshuis in The Hague, the Netherlands, initially wanted to commission me for this geboortekaartje to announce the arrival of her baby boy, Arent (‘eagle’ in Dutch; the older spelling was deliberately chosen instead of the modern Arend). In the event, I decided to make her a gift of it. Little Arent arrived into this world on the 12th November. Welcome, Arent; and congratulations, Lea and Jasper! I suddenly find myself quite ill. My feet and hands feel icy though my face and breath feel hot. 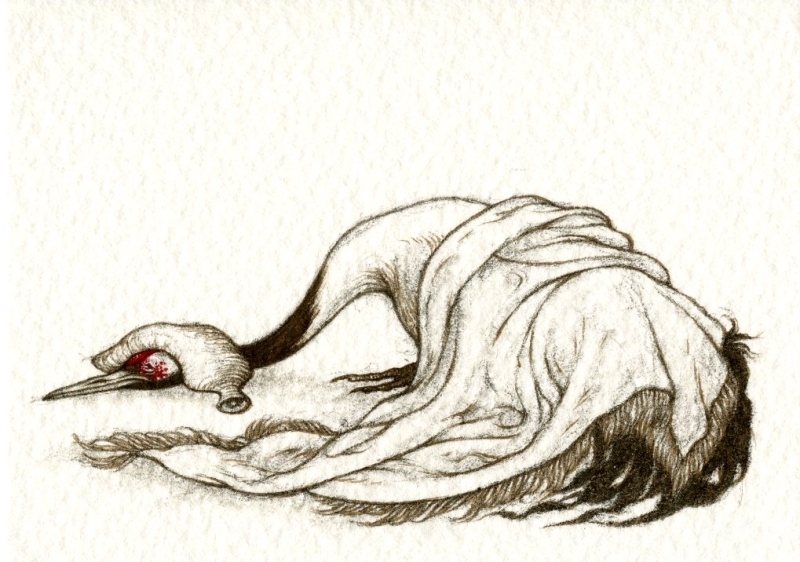 Too many all-nighters of late, it seems. Which reminds me that I’ve yet to post my report on the last Pictura events in Newcastle. Oh, dear. 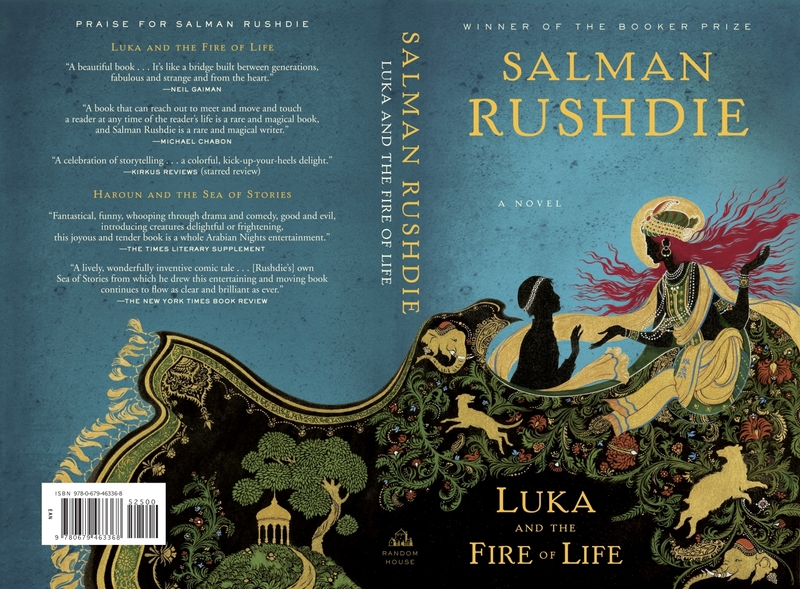 The closest fiery-themed piece I have for Bonfire Night, this was the jacket illustration I did for the first hardback edition of Salman Rushdie’s Luka and the Fire of Life back in 2010, published by Random House US. The full jacket, including flaps. 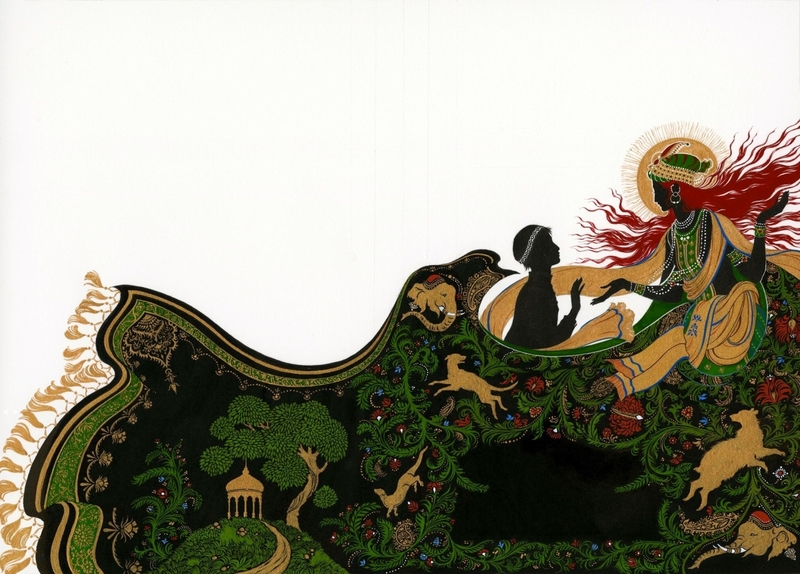 The original artwork in ink and gouache. 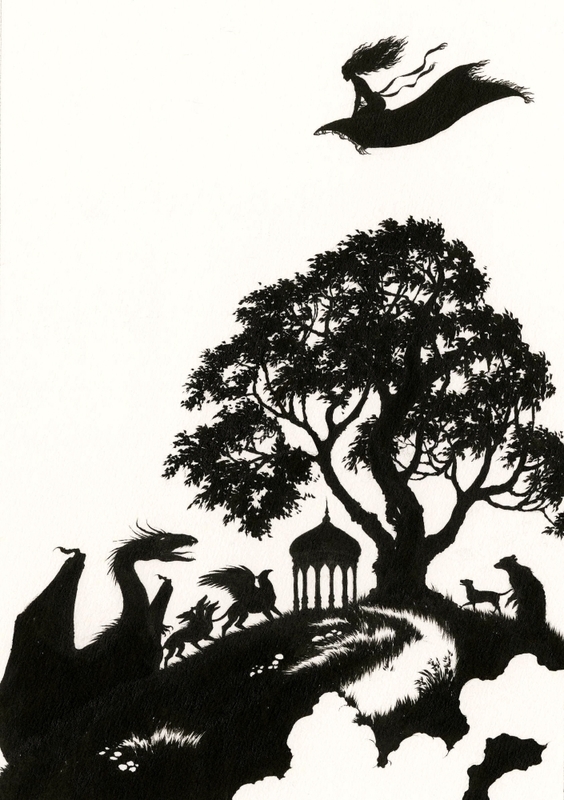 The final jacket omits parts of the original artwork, including the otter on the spine, to make more room for the title and the Random House logo. It also uses a fine textured gold which has a very pleasing, subtle effect and recalls the gold of the original. 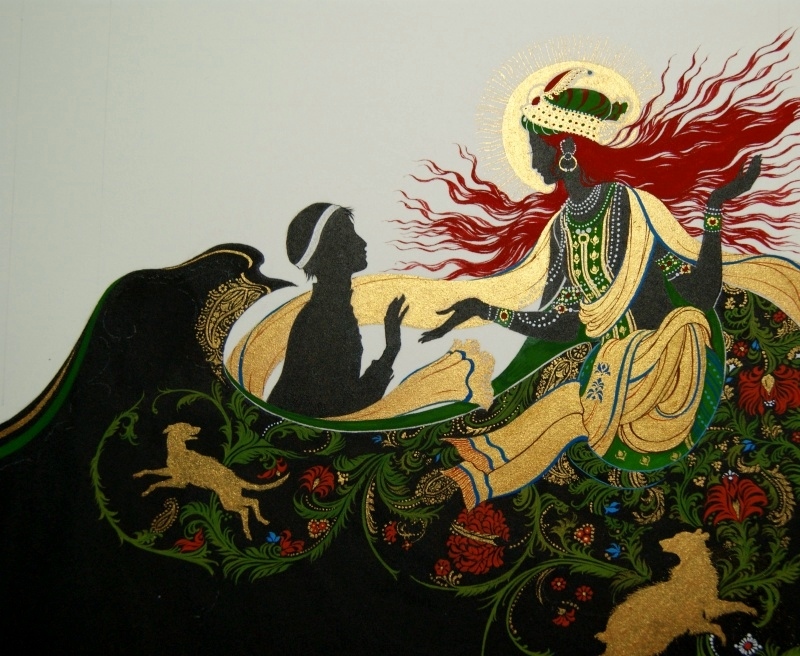 A photograph of the original artwork during its progress, which gives a better idea of the gold gouache’s effect. Interestingly, the cover of the most recent reprint edition features a much more narrative illustration and in many ways makes me think of the very first rough which I came up with. The designers preferred a more graphic/design-based image, however, which eventually became what we have now.